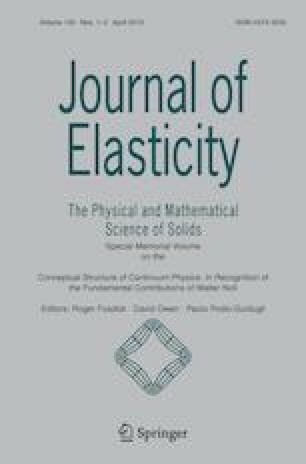 In this paper we study the deformation of a body with a notch subject to an anti-plane state of stress within the context of a new class of elastic models. These models stem as approximations of constitutive response functions for an elastic body that is defined within the context of an implicit constitutive relation between the stress and the deformation gradient. Gum metal and many metallic alloys are described well by such constitutive relations. We consider the state of anti-plane stress of a body with a smoothened V-notch within the context of constitutive relations for the linearized strain in terms of a power-law for the stretch. The problem is solved numerically and the convergence and the stability of the solution is studied. Josef Málek thanks the Czech Science Foundation for support through the project 18-12719S. K.R. Rajagopal thanks the Office of Naval Research for support of this work.